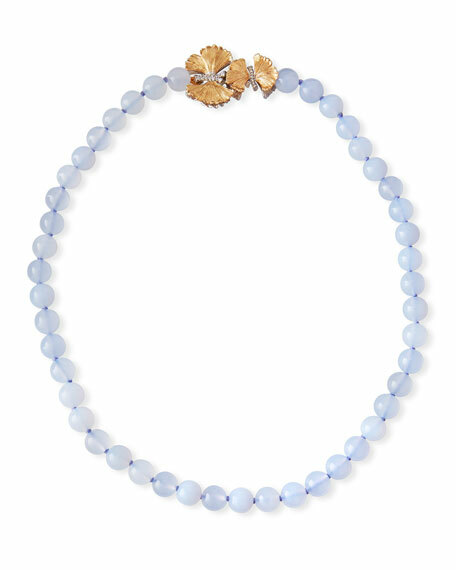 Butterfly Ginkgo single strand necklace by Michael Aram. Polished sterling silver and 18-karat yellow gold. 4mm smooth round chalcedony single strand. Two diamond pavé butterfly ginkgo stations. 0.115 total diamond carat weight.